This entry was posted in Bible, God, Good News Stories, Inspirational and tagged I will carry you, Isaiah 46:4. Bookmark the permalink. Thank you, Trail Dust, for the beautiful message. What a gorgeous painting by this McEntee artist! Is it for sale? How very true. 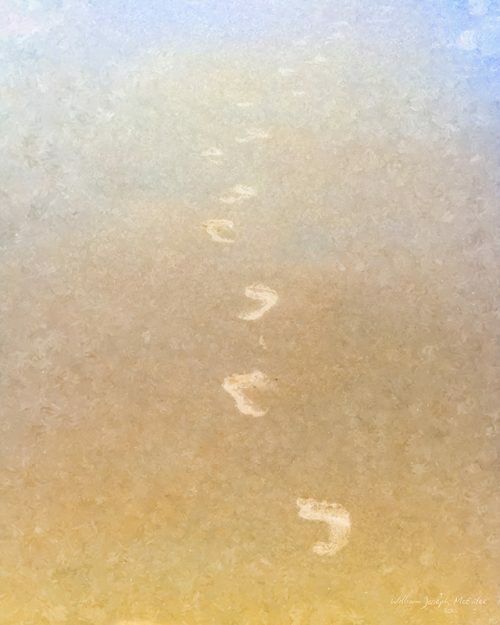 The footprints lead to Heaven on Earth. That’s pretty timely for a lot of us.